Purim -- The Feast of Esther. Thursday, March 24, 2016. Shushan Purim (celebrated in Jerusalem and other cities which were walled at the time of Joshua entering the Land of Israel) is celebrated Friday March 25, 2016. Buy Purim gifts here. Pesach -- Passover ( Leviticus 23: 5-14) , the Feast of the Exodus from Egypt, unleavened bread festival. Saturday, April 23, 2016 until Friday, April 29, 2016 (Saturday, April 30, 2016 in the Diaspora). Seder night is Friday, April 22, 2016 . The seventh day of Pesach (and eighth in the Diaspora) celebrates the miracle of the parting of the Red Sea. Buy Passover gifts here. Lag B'omer -- The 33rd day of the Omer. Thursday, May 26, 2016. Celebratory bonfires are lit on Wednesday night May 25 after dark. Buy Lag BaOmer Cards and Gifts here. Shavuot -- The harvest festival ( Leviticus 23: 15-16, 21) - Shavuot, the Feast of Weeks, Feast of the first fruits, the harvest festival, "Atzeret" (the "ending", Passover being the beginning), and the Festival of the Giving of the Torah, are all biblical names for the holiday. Sunday, June 12, 2016 (and Monday, June 13, 2016 outside of Israel). Check out our page about Judaica Diamond Star of David gifts. 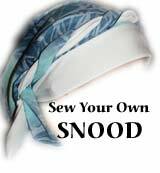 Sew Your Own Snood Hat!